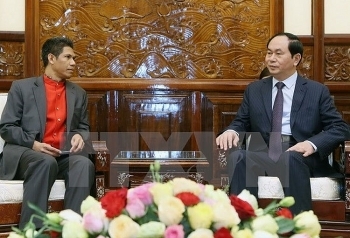 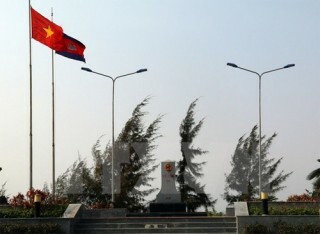 President Tran Dai Quang has suggested stronger cooperation between Vietnam and Timor Leste in all fields, especially in the economy, trade and investment. 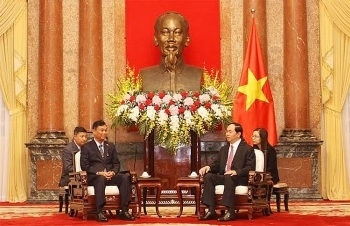 President Tran Dai Quang pledged that Vietnam will encourage its business community to invest in Myanmar, especially in agriculture, fish farming, mining and tourism. 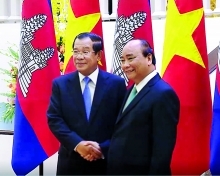 Prime Minister Nguyen Xuan Phuc held talks with his Cambodian counterpart Hun Sen in Siem Reap province, Cambodia, on November 23, during which he affirmed the Vietnamese Party and State’s consistent policy of paying attention to consolidating and developing ties with Cambodia. 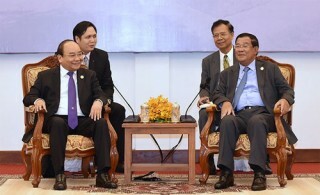 Chairman of southern An Giang provincial People’s Committee Vuong Binh Thanh and leaders of the Cambodian provinces of Takeo and Kandal reviewed bilateral cooperation in the first half and set tasks for the remaining months of this year, during a meeting in An Giang on August 9-10.